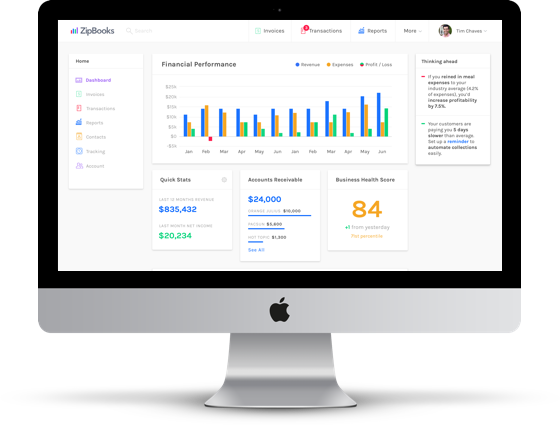 Welcome to an age of free, cloud-based accounting with ZipBooks online accounting tools and services. 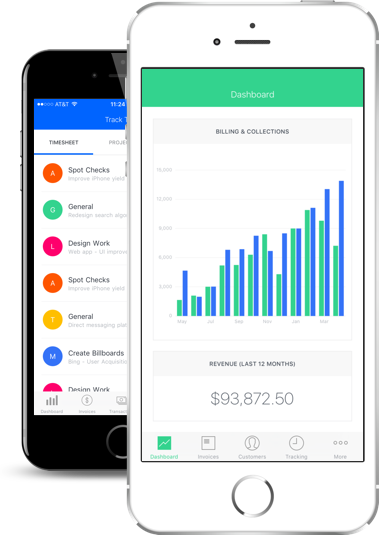 Send professional invoices, track your projects and hours online, and move your business forward by getting paid faster. ZipBooks has all this and more for you when you just sign up using your name and email address. No matter what field you work in, your business will grow when you keep up with the latest accounting technologies. Lately, business owners are moving away from paperwork and toward the cloud. In an ever-evolving technological world, it’s usually simpler to keep information where you can access it online. 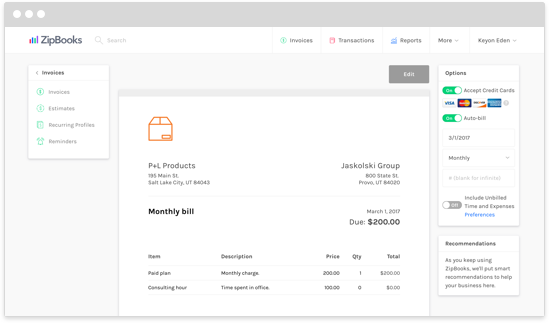 By signing up for ZipBooks, you enable your company to send invoices, track projects and hours, and update client information online. Access what you need the second you need it when you sign into ZipBooks from your computer, desktop, mobile device, or smart phone. Most other free cloud accounting programs look complicated and, quite frankly, can stress you out. ZipBooks is designed to be easier to use than any of its comparable off and online competitors. With a simple interface that is attractive and easy to navigate, you’ll thank yourself again and again for storing your information with ZipBooks. We know you need something that directs your attention to the most important tasks at hand, while taking care of the rest of your information as you record it. 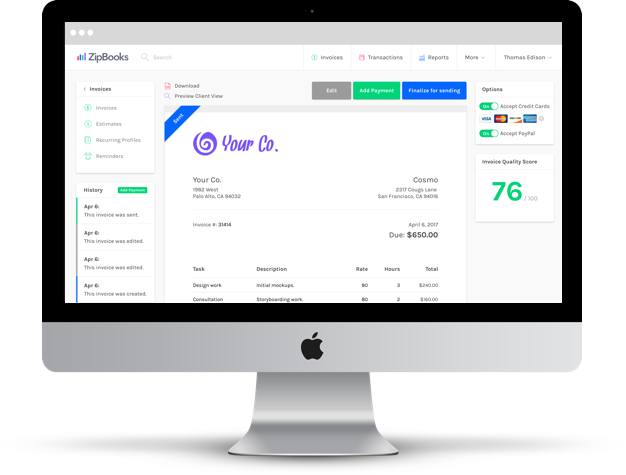 When you’re using ZipBooks, you’ll only pull up what you need as you need it, and our professional-looking, online invoice template will impress your clients and reinforce their trust in you. Keeping cash flows moving can be a major source of support for your business, while interrupted or halted cash flows can be the beginning of the end for your company. ZipBooks can help with issues like this. 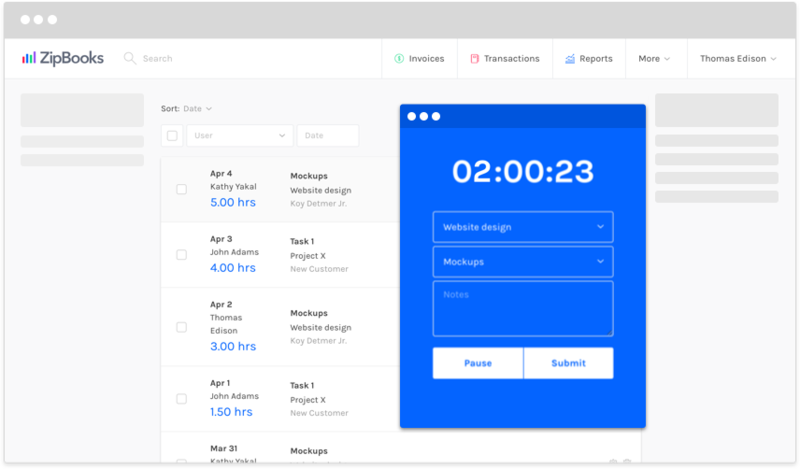 Our free online invoicing service allows business owners to send invoices quickly, and prompts clients to make payments quickly and right from their email inboxes. From an emailed invoice, clients can click to pay with a card right then and there. So many cash flow interruptions are a result of poor communication, confusing invoicing, and unnecessary payment delays. 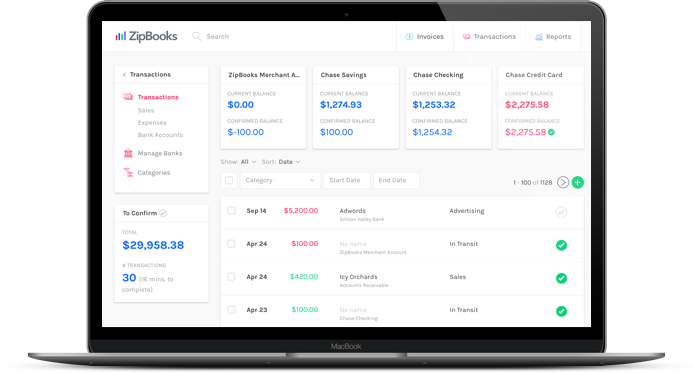 Encourage your clients to pay sooner by sending them a ZipBooks invoice and offering them multiple payment options. Then use the money to continue improving your services and winning their business once again. Our 256-bit SSL encryption has you covered in times of security threat. 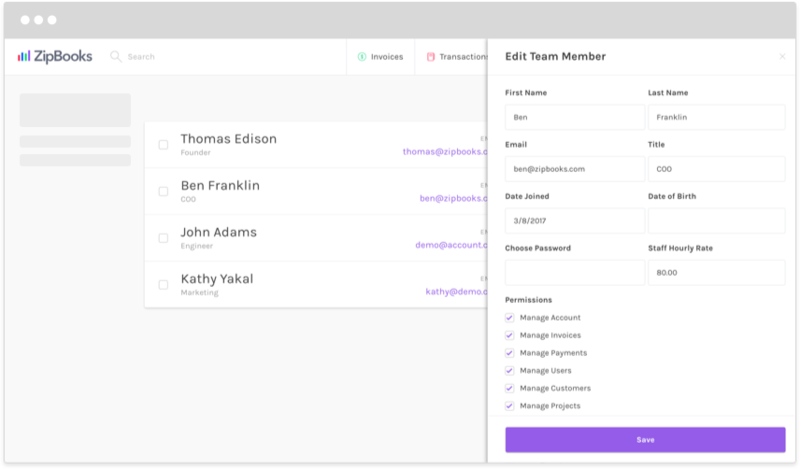 Keep your customer and business data safe with ZipBooks free cloud accounting. 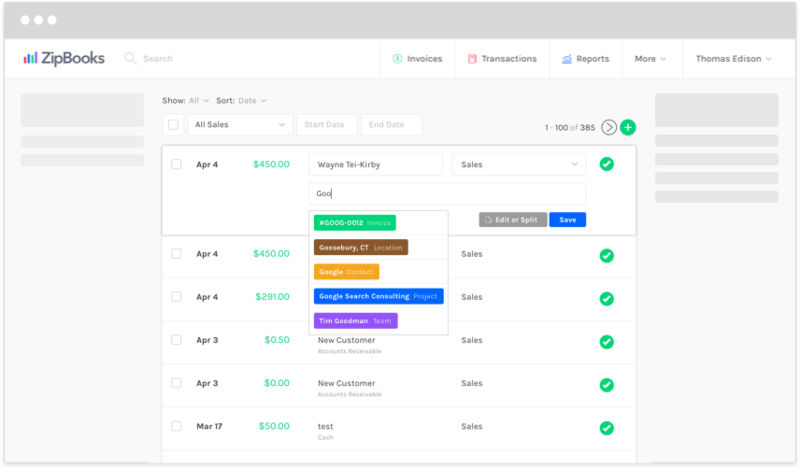 Our software isn't hard to use, and when the time comes to send an invoice, it will arrive in your client's office looking clear, accurate, and professional. We only make promises we can keep. Enjoy ZipBooks cost-free. We will offer ZipBooks 100% of the time and absolutely free.